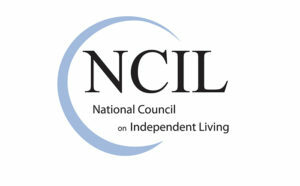 Centers for Independent Living are community-based, cross-disability, non-profit organizations that are designed and operated to advocate for the integration and inclusion of people with disabilities into all aspects of society. We are a non-profit Center for Independent Living, an organization run by and for people with disabilities. Our goal is to help create an accessible community to assist people with disabilities to live independently. We provide advocacy, peer support, independent living skills training, information and referral, and services to assist people transitioning in the community (when finishing school or when transitioning out of nursing homes and institutions). The NRV DRC serves individuals with disabilities in the New River Valley residing in Floyd, Montgomery, Pulaski, Giles counties and the city of Radford. This includes Christiansburg, Blacksburg, McCoy, Fairlawn, Riner, Floyd, and Newport. We would love your help in establishing peer support in our region. Please let us know what you are looking for. We already have people interested in being part of a new amputee peer group. Please email board@nrvdrc.org or mshelor@nrvdrc.org for more information. Leg and arm amputees welcome.